As any crafter knows, the quality of materials you use is key to developing your creativity. In the world of polymer clay, there are a few well known brands as well as some lesser known ones. 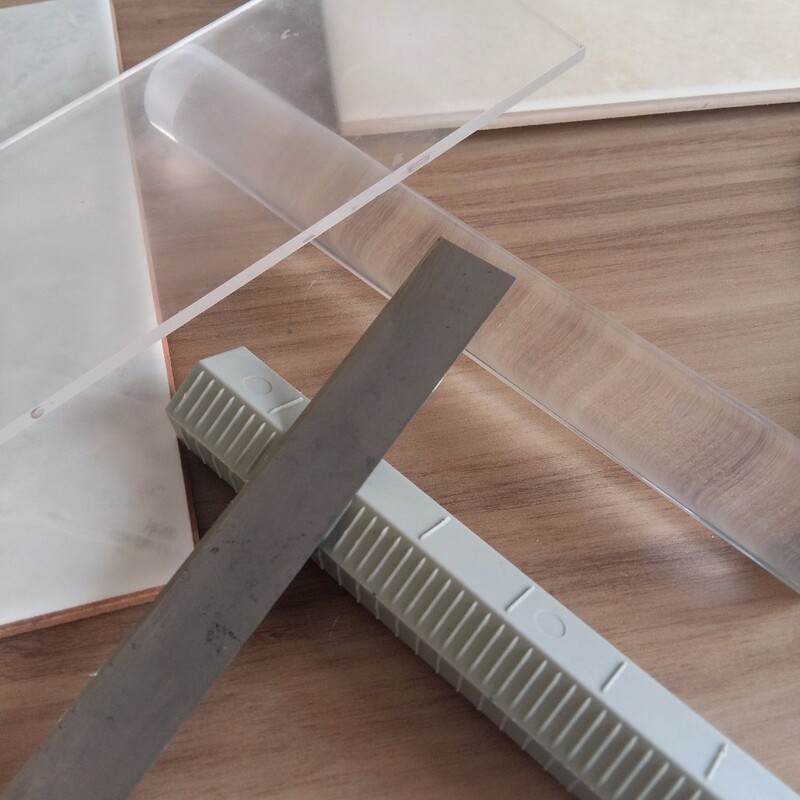 As a customer, you want to be assured that the materials I use to create my own collection or design a special piece for you, meet the industry standards. Most people have heard of this brand and maybe you used it as a kid? It’s available in different grades – soft, professional, and effect. This brand was created in Germany by Kathe Kruse and was named after her daughter by combining her name Fifi and Modeling clay – FIMO. Fifi used and marketed the product until she sold the formula to Eberhard Faber of Staedtler who then built the brand to what it is today. It’s a great brand to use for beginners. Particularly, the soft range. It’s very easy to condition using your pasta machine or acrylic roller and comes is an array of colours. A brand of clay that is made in the USA and has been around for over 50 years and is the main competitor of FIMO. Sculpey also comes in a variety of colours and effects – some include glitter! There are different ranges which are aimed at the beginner through to professional. You will find that some of the ranges are firmer and a bit harder to soften. 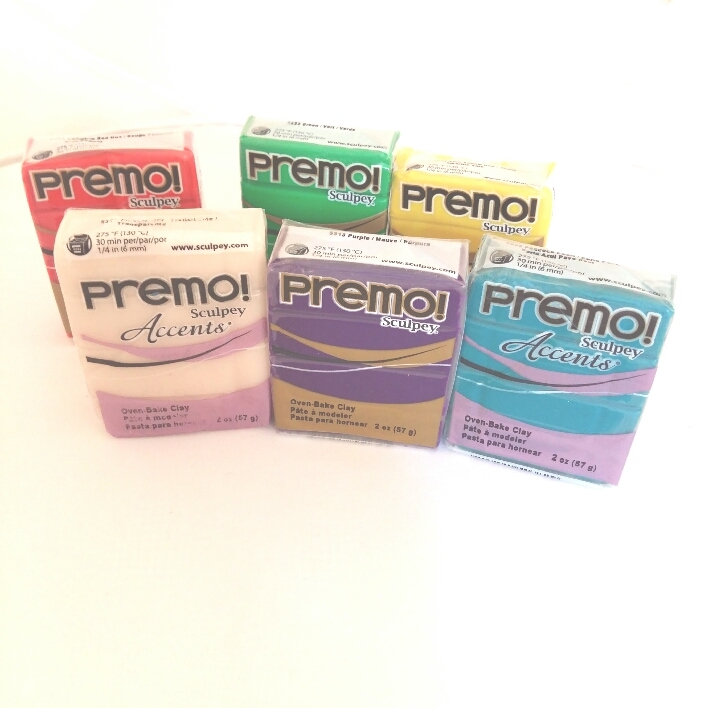 My favourite is the Premo range because of its range of colours and firmness. I have found that it holds patterns well. What does that mean? When I create a pattern, the larger version looks clear and distinct and when I make the pattern smaller, it is still clear. The pattern is visible and not distorted. This is especially important when creating jewellery. This is my ‘go to’ brand when delivering workshops. You will be offered a variety of colours and the items you make will hold the pattern you create. A clay created by polymer clay artist Donna Kato. Wow! So inspiring that an artist has created her own brand of clay. Available in 21 colours, Kato clay is perfect for keeping the details in canes (roll of clay with an embedded pattern). It is durable and doesn’t change colour when baked. I inadvertently used Kato clay to create a dragon which was hard work. The firmness of this clay means using it for this project wasn’t such a good idea. Nevertheless, for creating intricate patterns that holds the details when baked is this clay’s big advantage over the other brands. There are several other brands of clay available – Cernit, Pardo and other generic brands. Each has its purpose, however, some can be too soft for larger polymer clay projects; some are too brittle; or too hard. When you’re starting out with this medium, you may want to try each brand out. Price is a factor as well; some generic brands are cheap but might not produce the results you want. So, which brand is best? We all develop our favourite ones, just like in the clothes or shoes or cereal or drinks . we have particular brands we buy from depending on price, quality and other factors. The well known and trusted brands like FIMO, Sculpey and Kato have been around for a long time. Other newer brands will take time for us to be confident using them. Try out one of my workshops and see for yourself how you can use polymer clay to create your unique pieces. There are actually 16 possible colours to wear this Spring/Summer – 4 of those are neutrals and the rest are bright and vivacious. The colour of the year is Living Coral which I wrote a bit about in a previous newsletter. If you don’t like this colour or it just doesn’t feel right for you, I’ll describe 5 others that may just energise you. This is a scrumptious colour – just like the fleshy colour of a mango. It’s not quite yellow or orange but a happy blend. It has a rich tone which will go well with one of the neutrals below. You will need to try this colour on to appreciate it’s warmth and to see whether it really suits your skin tone. If you’ve fallen in love with this colour but don’t want to wear it as a block colour on a blouse or jumper, try accent pieces which may be more flattering for you. This is a proper royal blue. Another rich and vivid colour. And doesn’t it make you sit up and take notice? It is not boring and imagine the coordinating pieces that you could wear with it – a neutral scarf in the soybean colour; a bold and eye-catching piece of jewellery; or layered with a jacket. Try it as an accent colour to liven up an outfit and make you feel energised. What a colour! Deep, rich and vibrant. I sense a theme here. I love this colour because it’s a wearable red. Not all of us like bright red tones or we lack confidence in wearing it; this jester red is feels safer and comfortable. It can easily be paired with the princess blue or mango mojito as well as the neutrals below. Well, this is certainly neutral! As mentioned above, it will coordinate well with reds/blues/oranges. You may want to wear it as a pair of trousers as an alternative to black or navy. Another strong colour that is understated and almost calming. How would you wear this colour? It’s very much chocolatey in feel and would work well with the mango mojito. Once again, if you think it’s all too much, try a scarf; chunky bracelet or earrings to show you are current. This colour can easily fit in with your current wardrobe colours. The colours I’ve chosen seem serious and almost corporate like, however, they lend well to spring and offer a transition into the lighter shades for summer. Remember they can easily be paired with neutral tones to avoid feeling ‘it’s too much’. Do you want to know more about the other spring colours for this year? Message me here. After a few years of doing my website myself, I felt it was time for a change. I wanted a fresher and current look. I needed help. So I asked. Ask and you shall receive! I’ve learned a new way with the help of my web designer. Received lots of input and patient replies. I did research on how to use the new way which improved my understanding. So that’s the background of how, but why? Change is good. Without change, my business would be stagnant. People want different things from websites and my aim is to provide a clearer journey for you. I wanted to create a site that better reflects how I can help you choose the service that is right for you. So you can browse my ready to wear collection and hopefully see something that catches your eye. Or maybe you want a piece created especially for you. After all, you can treat yourself too. Or you may want to learn a new skill – how to create from clay and take away an item that is wearable and you’re proud to say ‘I made it!’. This year you will see and experience more from Beadeze. More designs. More energy. More interactive workshops. More creativity!! Visit the website often and if you have suggestions for something you’d like to learn or have me create, message me! I’m very happy to help you on your creative journey. Whenever you start a new craft, there are basics to learn. It’s no different for working with polymer clay. The clay used comes in varying pack sizes and brands. The clay is very firm; in fact, so firm that you cannot use it straight from the pack. It must be conditioned, as we say in the crafting world. What does this mean? Basically, it needs to be softened to a workable material so you can start creating with it. You will need a ceramic tile; the clay doesn’t stick to ceramic so this is an essential piece of equipment. A tissue blade and acrylic roller are also used to the conditioning process. 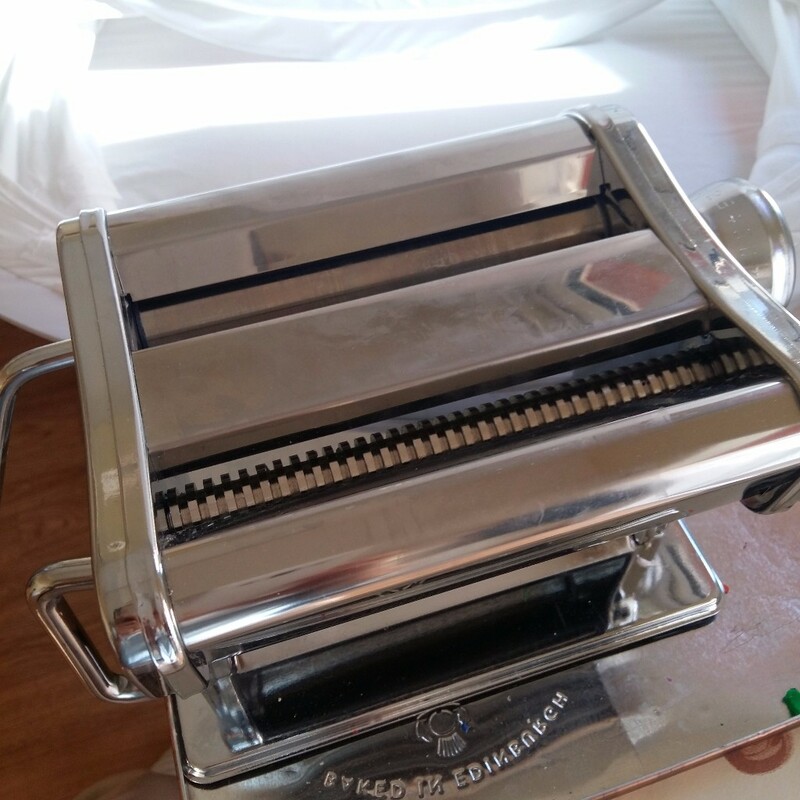 And of course, a pasta machine which makes the process much easier. However, you can condition clay using an acrylic roller but it may take longer to soften. First, on a ceramic tile, you should cut the clay using your tissue blade into manageable chunks. Then roll the chunks together using your acrylic roller. 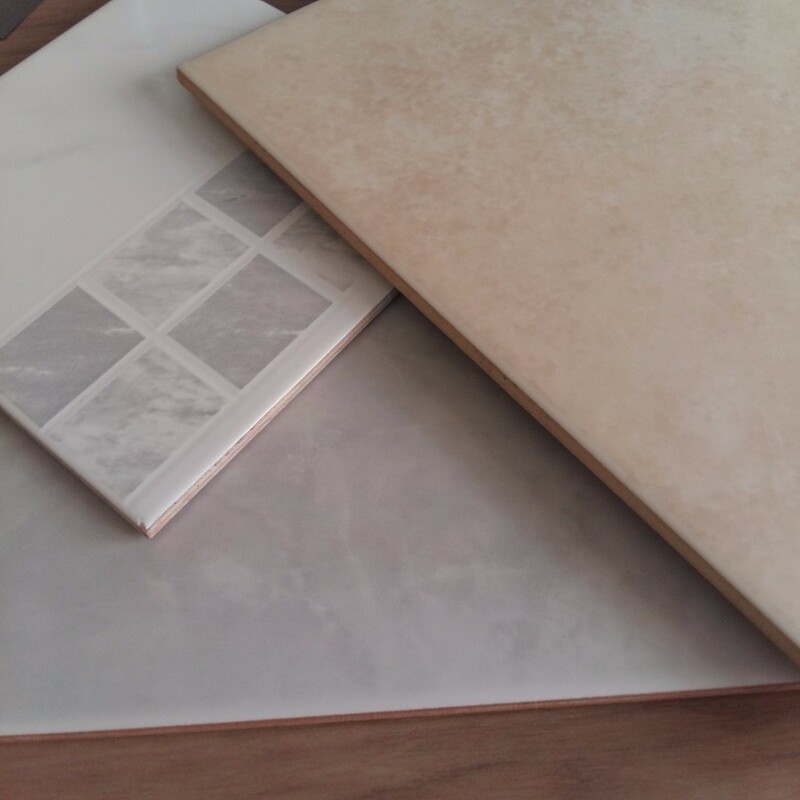 You should have a flat piece of clay on your tile. Take the clay, and run it through the pasta machine on the widest setting. Fold the clay and continue rolling it through the machine until the clay is ‘floppy’. You may need to adjust your setting on the pasta machine as the clay becomes thinner so it can be rolled easily. Your clay is ready to use. Remember you will need to condition each colour of clay you intend to use. Attend a workshop to learn more about using polymer clay for your own creations. Happy New Year and Coral! Wow! It’s vibrant and soft at the same time. The name itself reminds me of beautiful coral in the sea. Have you been underwater? I think this is on my list of things to do. Having watched many undersea documentaries, nature’s colours are simply amazing. But I digress.. Think of all the places around you where you can see this colour… it could be a flower in your garden – roses, tulips or carnations. Or what about the salmon at your local fish counter? Maybe you’ve caught a salmon yourself and seen its rich coral colour. And of course, there is the naturally occurring gemstone coral which is actually formed by living organisms. Found only in tropical and sub-tropical waters, this gemstone is created from the hard skeletons of dead coral polyps. Amazing! On the other side of things, manufactured products such as lipstick or blush come in coral and are popular during Spring and Summer. You will see these products advertised both in the traditional ways of magazines and newspapers as well as on various social media platforms. Living coral will also be reflected in clothing. You will see a variety of shades that will appeal to you and me. Whether it’s a jumper, scarf, handbag, or shirt, there will be something for you and the more you see this colour, the more you will warm to it. Using this colour in making jewellery can be challenging but rewarding. You will need to experiment with coordinating colours that will enhance it. If you are using the coral gemstone, you might consider combining it with pearls or silver beads. With polymer clay, coral is a mix of white, pink, yellow and red. Once you have the right proportions, you will be able to create unusual pieces. This is especially useful if you only want to add a bit of coral to your wardrobe to be current. So, will you be wearing ‘Living Coral’ this year? Or will you make your own piece of jewellery? I think I will be experimenting with coral so keep an eye out for some new items! Let me know your thoughts about this colour by emailing me at info@beadeze.com. Have you ever been to a workshop/seminar where you couldn’t wait for the lunch break? Maybe it was because you weren’t engaged with the topic or the speaker wasn’t very inspiring or you were just hungry! At my recent polymer clay workshop, the reaction of the learners – I use this term because that is what people are doing as opposed to attendees where people are ‘attending’ but are they learning? That is another topic. Anyway, the workshop started well and progressed nicely with learners practicing new techniques. Around 130pm, I suggested we break for lunch AND no one wanted to! They were too engrossed in creating their jewellery. It was great to watch them so determined to manipulate the clay and to come up with their own ideas – those ‘what if I’ or ‘I could do this’ moments – creativity filled the room. What was it about this workshop that seemed to ‘work’ for the learners (I wondered)? 1.Time – they were given time to listen to instructions and work at their own pace. You need time to practice techniques and with polymer clay – there is no right or wrong – so you can be relaxed about making your creations. 2. Active – they were actively ‘doing’ which is a crucial part of learning anything new; it’s great to listen and watch a PowerPoint slideshow but to participate in the clay softening process and rolling the clay embeds the learning. They will remember for the next session the basic steps that need to be done before actually creating a piece. 3. Phones off rule – there wasn’t one! This actually didn’t occur to me to say. After all, we are all adults and sometimes we need to have our phones on. But as one learner said at the end ‘I don’t think we looked at our phones more than a couple of times’. The workshop was 6 hours long during the week – how many times do you check your phone on a business day? 4. Conversation – plenty of this all around the table. People getting to know each other and asking each other questions like ‘how did you do that?’ – lots of information sharing. Imagine you as one of those relaxed learners in a workshop designed to help you explore your creativity, meet other people and produce a piece of jewellery. You won’t want any lunch either! If you have any questions about workshops, contact me. Last month, I described the best shape/style of necklace that complements a few necklines. There are a few others that you will probably have in your wardrobe. The turtle neck is popular during the Autumn/Winter season and wearing a long necklace gives balance to the look. <BLOG_BREAK> You can wear chunky beads as shown in this diagram or several long graduated chains. Try it out and see for yourself. The square neckline or variations is more suited to square/angular pendants. This creates harmony with the shape of the neckline. If you wore a round pendant, it would look out of place. The necklines below are the final ones to explore. You can see how the size and shape ofthe necklaces are in balance with the tops. The boat neck is emphasized when choosing to wear long necklaces with maybe one or 2 beads and layered to give depth to the top. The collared shirt is always tricky – should you wear a necklace at all? You can see that a simple choker blends well with this neckline and provides interest to your outfit. You can try these tips the next time you choose a necklace; experiment with different necklaces and the tops your have and you will see the difference the right length and style of a necklace can make to your outfit. Recently, I’ve been collaborating with a yoga teacher who introduced the concept of Chakra. I heard about Chakra in the past, but hadn’t really explored in any depth. My initial research showed that there are seven colours of the Chakra following the order of the rainbow. Red: The root or the first chakra represents safety and grounding. Orange: The second chakra is associated with emotions. It is a fascinating area of understanding the connection between the human body and energy. I explored the idea of creating a piece of jewellery that would be easy to wear while doing yoga and also to represent the seven chakras. These Chakra inspired bracelets have a handcrafted polymer clay bead in colours representing each of the seven chakras. The beads are included as part of the woven macramé design using satin cord. You will find them easy to slip on and off because of the sliding clasp. And they can easily be stacked. The bracelets are now exclusively available at yoga retreats here or you can pre-order the colour or colours you like by contacting me directly. What is the colour for 2018? Since I discovered Pantone, I use them as a starting point for developing a collection. Pantone is the organisation that sets the colours for the year and hugely influences fashion, design, home décor and anything to do with design. For 2018, they have chosen Ultra-Violet. But why have they chosen this shade? <BLOG_BREAK>Their view is that ultra-violet represents the mysteries of the universe or ‘the intrigue that lies ahead’. It is a colour of individuality, ‘experimentation and non-conformity’. It also represents luxury. As soon as I saw this colour, I loved it! It’s a colour that I wouldn’t naturally be drawn to – I much prefer blues – if you hadn’t noticed from my jewellery! So I thought, this is going to challenge me. What colours will complement this? Yellow? Orange? White? And then I began experimenting. Polymer clay is a fantastic medium as it allows me to create so many new shades. I’ve used a few different ones in this necklace and jazzed it up a bit by creating a folded bead rather than a round one. You can really see the texture in this piece. The necklace also highlights lilac which has a light-hearted and floral feel in contrast to the deep purple representing dignity. Coincidentally, this necklace is deceptive as it looks heavy but in fact weights less than 3g – so light-hearted is a suitable description. There are also negative meanings surrounding purple such as decadence and conceit which could be why this colour is seen as ‘you either love it or hate it’. This pendant is part of a new colour palette using ultra violet and other shades of purple and would look great with a crisp white top. Or if you prefer lighter shades, look at the necklace below with a geometric feel in two bold purple shades coupled with yellow and white. Three simple beads can lift your outfit with this pop of colour. So you can see how purple can be used to accessorize your outfit and keep you on trend for this year. If you would like more information on the jewellery, all you have to do is email me info@beadeze.com!